Cons: Once it gets really dark the lens\'s small aperture was a problem for my D3300 though and focus could not be achieved. Overall, besides being accurate, the vibration reduction was a bit too nervous for me, sometimes jumping here and there and grabbing on the wrong subject. 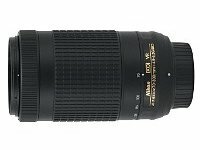 The biggest weakness of this lens is it\'s atrocious image quality at the short and long end of the zoom range. Especially at 300mm the lens is absolutely unusable at every aperture. One should also mention, that the Nikkor has severe problems with focus breathing. When focusing at closer subjects at 300mm for example, the actual focal length becomes way shorter (more around 220-250mm). Pros: The lens\'s auto focus is very quick and absolutely silent. On my then used Nikon D3300 it was very precise and caught the right focus even in relatively dim lighting. The vibration reduction is also quite accurate. The lens\'s sweet spot is at 135mm, where it is very sharp even wide open. Summary: I bought this lens together with a Tamron SP 70-300mm Di VC USD A005 lens and compared them over the period of one month back and forth. I especially used the Tamron for comparison because it was at that time at around the same price point (around 350 Euro). The Nikon was even a little bit more expensive (20-30 Euro more, if I remember right). The Tamron smashed the Nikon in pretty much every aspect. 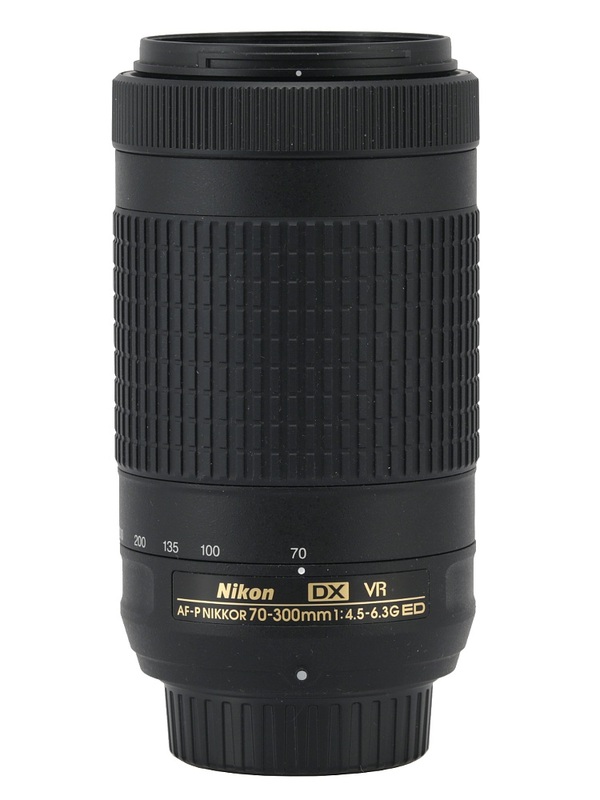 The only aspect where the Nikon AF-P DX was better than the Tamron was focusing speed and noise. The Nikkor is dead silent while focusing and very, very fast. It\'s VR is dead silent, too. The Tamron is a little bit slower and makes a little bit of noise while focusing. It\'s VC makes a little bit of noise, too. Besides this the image quality of the Tamron is way, and I mean WAY better than the image quality of the Nikkor. The image stabilization of the Tamron is better and smoother, too. Overall, if you can live with the extra weight (the Tarmon is heavier because it is a full frame lens and thus has more glas), save yourself some money and get the Tamron instead of the Nikkor. Compared to the Tamron, the Nikkor is totally overpriced for what it delivers. Summary: I replaced my Tamron 70-300 VC with this one. The AF is simply fantastic. Totally silent and basically it focuses immediately without any hunting in most of the cases. Its VR is also more efficient than the Tamron\'s. (I can take photos at 300mm with 1/15 with a good success ratio.) I made a non- scientific comparison and I think its sharpness is very similar to the Tamron\'s. The only drawback I have found is the focus breathing. Cons: Plastic lens mount. No lens hood included, but found a fitting one very cheaply at Amazon! Not as good flare-wise as the 70-300 CX, though. Pros: Small, light and very sharp! And good price! Summary: I have owned the AF-S 70-300 VR, the Tamron 70-300 VC, and own the Nikon 70-300 CX, and this is the lightest and probably the sharpest of them all, or very nearly as good as the 70-300CX! It takes Kenko 300 Pro 1.4X TC, and it works great! No issues but a little sensitive to flare, nothing really serious! Cons: Cannot use on older Nikon cameras Lens hood not included in price Plastic lens mount and no environment sealing. 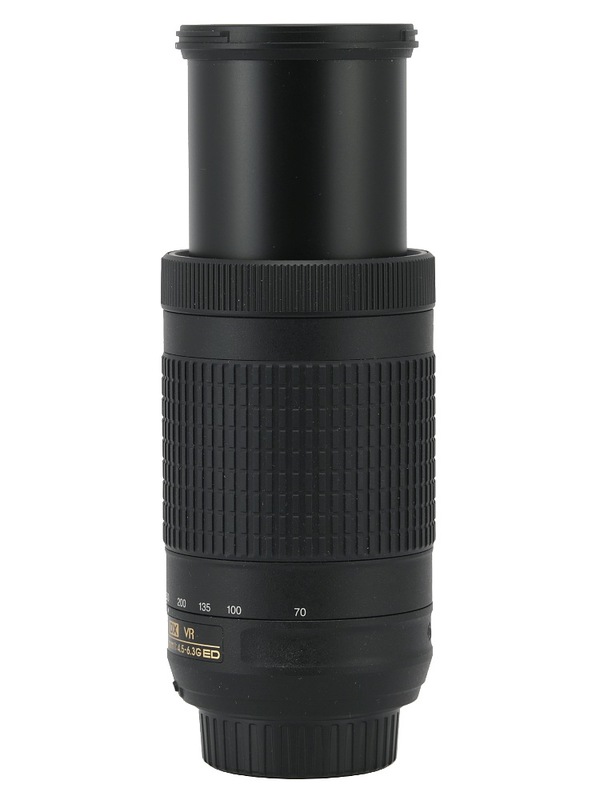 Pros: Brilliant lens for the money, extremely quick focus for this type of lens, pin sharp wide open, ultra light. Summary: This has to be one of the great bargains of all time - with a little shopping around and waiting for everything off sales you can get this lens for next to nothing. Optical quality is second to none, focus is sharp & quick for a longer zoom lens despite the slow aperture, you don\'t notice this lens on the camera. I am not a big of the plastic mount but have never had problems with them before but Nikon could add a proper lens mount and environmental seal and thrown in the lens hood even if it meant adding 10% or a bit more to the cost. Thought I would mind the absence of VR and focus switches but this hasn\'t proven to be the case as I mostly use it for sports photography and would leave AF on and VR isn\'t a problem even when on a tripod. I doubt I could even find the VR setting in the menu without resorting to the internet. There is nothing like it. Outstanding value and highly recommended for a tiny, ultra-light longer zoom. Nikon, at least include the lenshood even if you have to up the price. 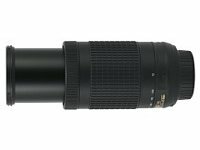 Pros: very sharp even wide open, lightweight, very good AF, VR on doesn´t impact IQ very much at shutter speed faster than 1/500 s.